Globally, over 62 million girls are not in school. Many more are fighting to stay there – and a good dad can make all the difference. A father can decide to invest in his daughter’s education. He can choose how long he will keep his daughter in school. He can determine whether his daughter will bear the brunt of the housework or be given time for her studies and homework. He can decide whether or not to enter his daughter into an early marriage. Girls who have parents willing to lift them up and prioritize their education are at a tremendous advantage when it comes to staying in school when they reach adolescence. Volunteers working with the Let Girls Learn program understand the importance of engaging with fathers to increase adolescent girls’ access to education. Peace Corps Volunteers are actively working to promote an open dialogue with fathers about the benefits of girls’ education, while providing resources some dads need to allow their daughters to continue to secondary school. Around the world, our Volunteers are working to improve girls’ access to education and cultivate positive examples of fatherhood in their host communities. In Mongolia, the Good Father Project aims to inspire fathers, empower students and promote positive relationships between fathers and their children. Meet Christian Edenfield, a Volunteer in Mongolia. In 2015, Christian worked with teachers at the local secondary school to design, organize, and hold a week-long essay writing contest. Students from grades six through 12 submitted essays with the theme “My father is a good father because....” Three winners were chosen and prizes were distributed at a public ceremony that showcased the positive father-child relationships for the entire community to view and learn from. Dads around the world are vital to their daughters’ academic success, and Let Girls Learn is committed to ensuring that fathers are able to support their daughters. 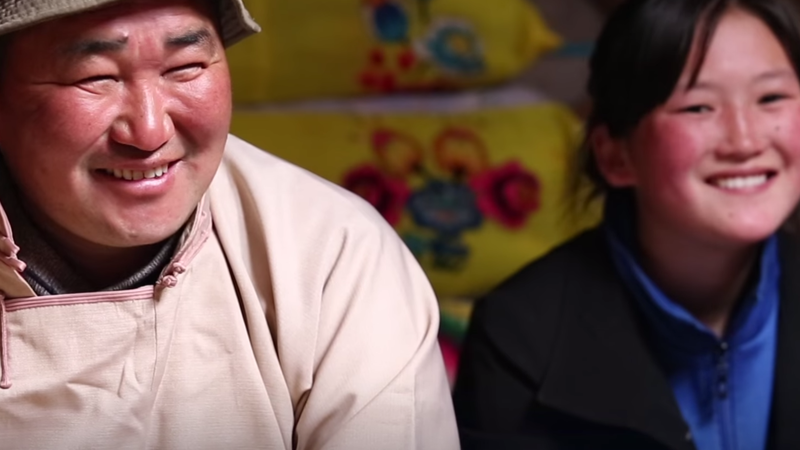 Join us in celebrating good dads everywhere this Father’s Day by watching this video featuring an awesome father-daughter duo in Mongolia. The daughter is taught by a Peace Corps Volunteer. In Mongolia, the Good Father Project aims to inspire fathers, empower students and promote positive relationships between fathers and their children. One such relationship is that between Lkhagvasuren and her father, Davaadorj. Honor a father by providing essential support that makes an impact on the lives of girls all around the world. Learn more and contribute here. Launched in March 2015 by the President and First Lady, Let Girls Learn is a whole-of-government initiative focused on supporting adolescent girls worldwide to attend and complete school and achieve their full potential. A key part of Let Girls Learn is to encourage and support grassroots solutions to reduce barriers that prevent adolescent girls from completing their education. Through the efforts of the Peace Corps, this initiative will support community-generated and community-led girls’ education projects worldwide. The Peace Corps will train thousands of volunteers and tens of thousands of community leaders to advance girls’ education and empowerment.